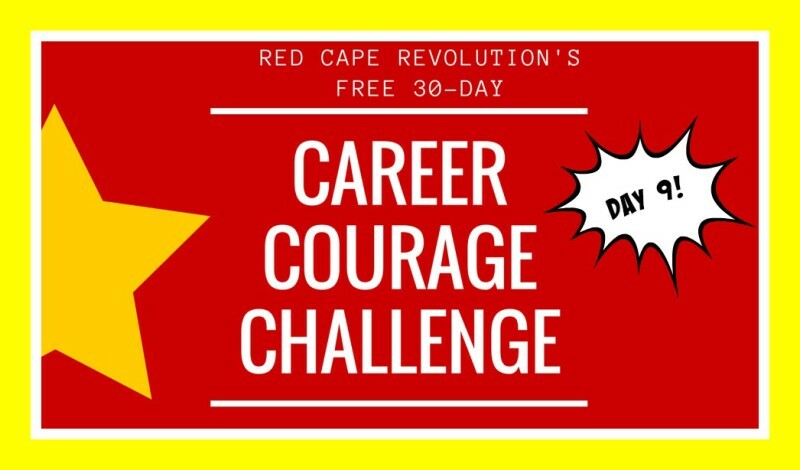 It’s Day 9 of our Career Courage Challenge. Are you feeling braver? Let’s keep the momentum going in today’s challenge. Keep adding your own experiences and ideas in the Comments at the end of this article, or on Facebook and LinkedIn, too. Each day, I’m taking the challenges along with you–watch for my experiences in the Comments. For some of us, admitting what’s not working takes guts. I struggled with this for years. My optimistic self worked hard to focus on all that was right (and there was lots), but didn’t want to see the truth about what wasn’t working. But until I got clear about what wasn’t working, I couldn’t put a plan in place to change it. And to my surprise, it didn’t mean I had to change everything in my life that was working in order to fix what wasn’t. 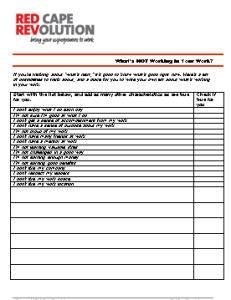 Today, use the courage to list what’s not working about your work. Don’t try to do anyth ing about it yet–just get it down on paper. That’s gutsy enough for one day. For me, what’s not working is that I’m spread too thin and avoiding focusing in on the one or two most important things where I can make a difference. I get a little too caught up in side projects and new ideas, instead of following through and executing consistently on all the old ideas I know work! How about you? What’s not working for you?